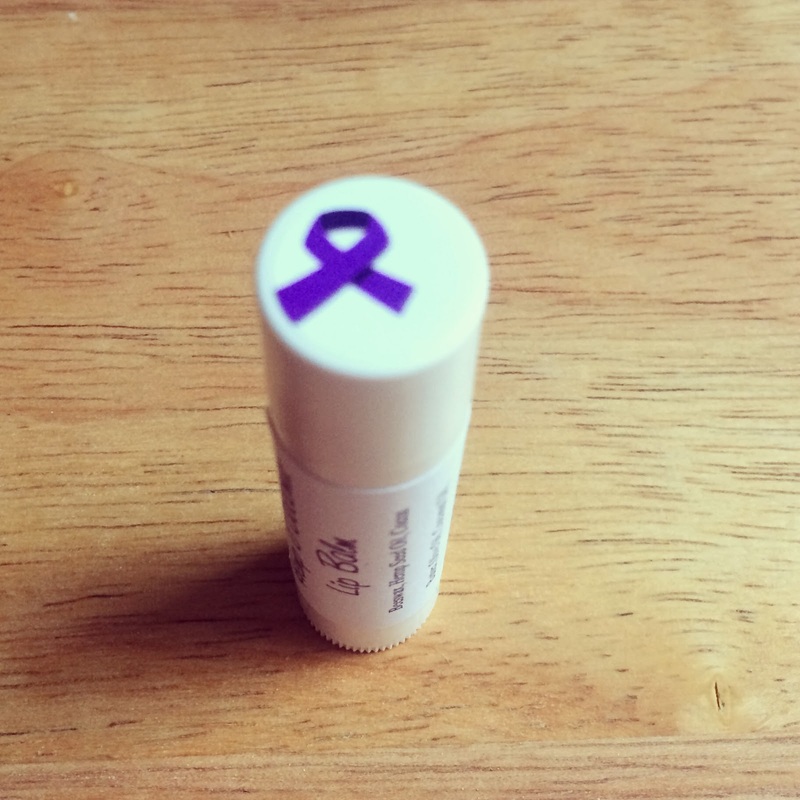 Fresh-Picked Beauty: Lip Balm for 50! I was recently approached by a member of the American Cancer Society seeking a donation for the upcoming Relay For Life event. She was searching for some all-natural goodies for gift bags she was putting together for cancer survivors. I was honored that she thought of me and was more than happy to donate 50 lip balms. Relay For Life teams camp out overnight and take turns walking or running around a track or path at a local high school, park, or fairground. Events are up to 24 hours long, and because cancer never sleeps, each team is asked to have at least one participant on the track at all times. To learn more about this important event, head over to the American Cancer Society's website HERE. 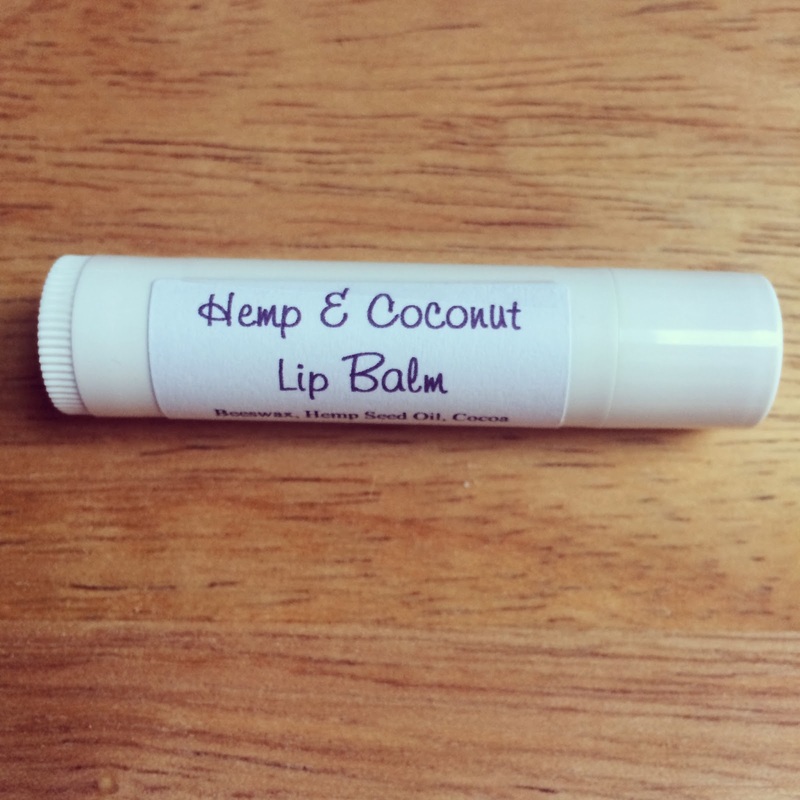 I want to share my recipe for Hemp & Coconut lip balm that makes enough for 50 tubes. This is a really simple and nourishing recipe that is great for fund raisers, baby showers and group gift giving. For "one stop shopping" head over to the Mountain Rose Herbs website (HERE) and you can get all the ingredients above, plus the lip balm tubes. Most of the ingredients are even Certified Organic. I like using Mountain Rose Herbs Cocoa Butter Wafers when I make recipes. They are so easy to work with. Have you ever tried to chisel out cocoa butter from the jar it comes in? Wafers are so simple! You can order them from HERE. Place a large glass measuring cup into a pot with a few inches of simmering water. Add in the beeswax and carnauba wax. Allow to melt completely. Add in the cocoa butter wafers, allow to melt. Add in the coconut oil and allow to melt. Add in the olive oil and hemp seed oil. Stir to completely melt. Remove from the heat and stir in the vitamin E oil and essential oil. Carefully pour into the lip balm tubes all the way to the very top. Allow to cool completely. 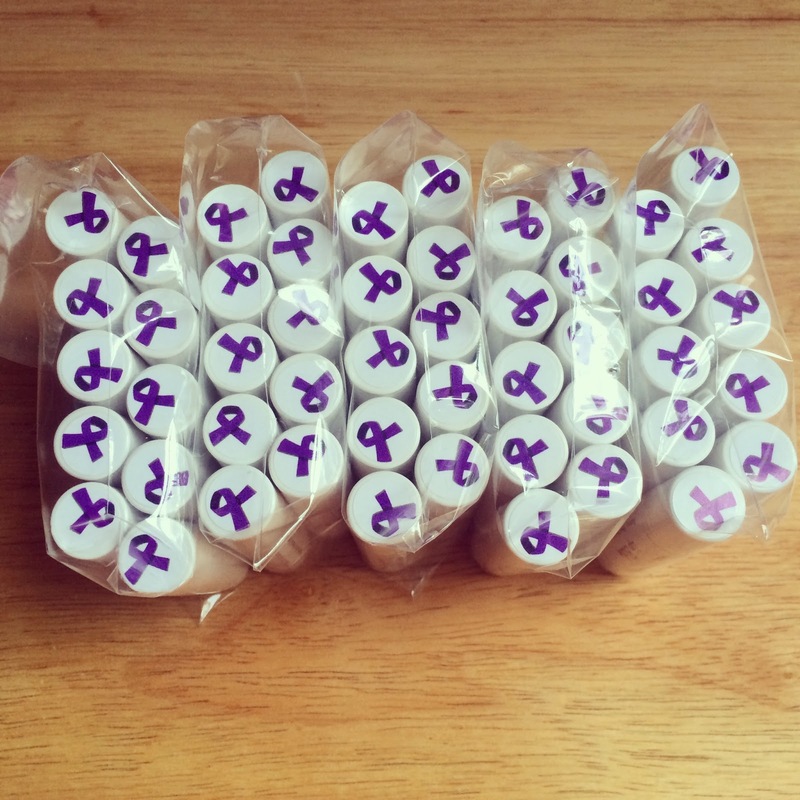 You can find lip balm containers from Mountain Rose Herbs. As of February 2014, Mountain Rose Herbs is offering a case of 50 for just $12.75 (good deal!). Head over to their website HERE. 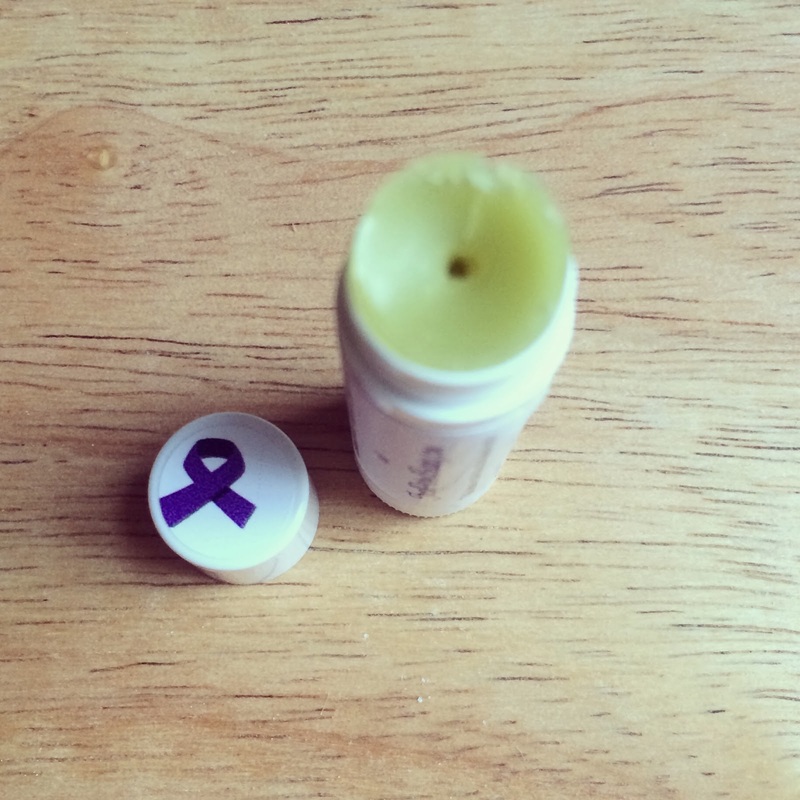 I added a small sticker with a purple ribbon on the cap of each lip balm. The purple ribbon is for cancer awareness. This information is for educational purposes only, it is not intended to treat, cure, prevent or, diagnose any disease or condition. Nor is it intended to prescribe in any way. This information is for educational purposes only and may not be complete, nor may its data be accurate. As with all herbs, Do not take internally unless working with a qualified and expert practitioner. Keep away from children. I am an affiliate with Mountain Rose Herbs,please review my disclosure page for details.. Avoid use unless discussed with your physician. This information is for educational purposes only. This information has not been evaluated by the Food and Drug Administration. This information is not intended to diagnose, treat, cure or prevent any condition or disease. Green Blessings! !